British Cosmetics, the leader in hair and beauty care, awarded its students at the recently held annual graduation at the Hilton Residencies. Chief Guest at the gala event was President Sri Lanka Army Seva Vanitha Unit Mrs. Chandrika Senanayake. Among the special invitees on the occasion were Vice President Sri Lanka Army Seva Vanitha Unit Anusha Fernando, Head of Key Accounts & Partnerships, City & Guilds Hifas Ashroff and Quality Assurance Co-ordinator (Quality Delivery) City & Guilds Anton Gracian Thevathasan. This was followed by a very inspiring motivational speech by former Managing Director / CEO at Chevron Lubricants Lanka PLC Kishu Gomes. His message inspired the students to empower themselves with education and to face challenges head on. “We have paved the way for you, our students to foray into a beauty industry as qualified professionals on par with international standards. This was made possible by a group of passionate individuals who envisioned a brighter future for each one of you as you step into a highly competitive world, empowered with the knowledge and experience you have gained at this renowned institution,” were the words of encouragement given by the CEO/Technical Director of British Cosmetics Nirosha Jagodaarachchi. 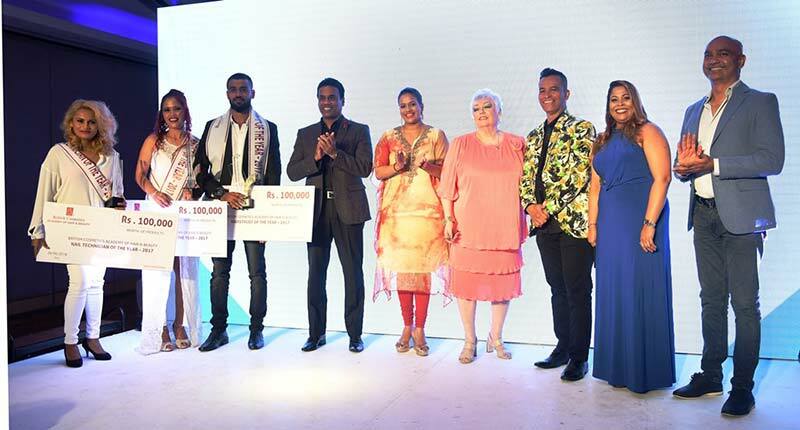 British Cosmetics boasts of an illustrious journey spanning two decades, spearheaded by two of the leading professionals in the industry, Dimuth and Nirosha Jagodaarachchi. In the years following its inception, the Academy has spawned the innovative albeit creative knowledge of hundreds of students who value the expertise of its internationally recognised group of experts, who are committed to delivering up-to-date methodologies. This has enabled scores of students from various parts of the island and the world to obtain a world class education in beauty culture. Moreover, this scope of beauty related grooming has given students a competitive advantage in the local and international sphere with many exceptional students gaining support in their careers through scholarships and recommendations. At the British Cosmetics Salon and Nail Studios, clients are indulged with an expert touch geared to enhance their natural beauty, and satisfaction is guaranteed by its one-stop-shop services offered by a dynamic team of hairdressers, beauticians and nail technicians, trained professionally to pamper the varied beauty needs of an ever-growing clientele.